Not all great movies can earn awards, but these possibly should have in hindsight. Of course, for every Oscar winner, there must be a few losers. Some make sense, some don’t. I like looking back at lists of past winners and nominees and wondering what the voters were thinking. Shakespeare in Love over Saving Private Ryan? Crash instead of Brokeback Mountain? The movies I’ve listed below aren’t just the more deserving also-rans, they’re all classics in their own right. Though now it seems like the obvious choice, but Citizen Kane wasn’t a big hit when it was released. Orson Welles took home the Best Screenplay award, but Best Picture went to How Green Was My Valley, a movie about a family of miners in Wales. (The Maltese Falcon and Hitchcock’s Suspicion also lost.) What can I say about Citizen Kane that hasn’t already been said? It’s a masterwork. Every facet of this jewel – the direction, the acting, the cinematography, the screenplay – comes together perfectly. If you haven’t already seen it, get on it. Not that An American in Paris is a bad movie, or undeserving of accolades or anything. It’s just that there was something new in A Streetcar Named Desire, and that something was Marlon Brando. His role as Stanley Kowalski was his breakout performance, and still one he’s remembered for today. Brando used the Stanislavski method to make it all seem real. It would be hard to assemble a better cast for a Tennessee Williams drama: in addition to Brando, you have Kim Hunter as the beaten-down Stella and Vivien Leigh as poor Blanche, the faded Southern belle who’s long past the prime of her life. (Leigh won for her role.) Sometimes it’s obvious that the Academy voters like the safe option. The Best Picture of 1968 went to Oliver!, the last bloated Technicolor movie to win the top prize. It should have gone to The Lion in Winter, a historical drama set in 1183. King Henry II wants his son John to succeed him. His wife, Eleanor of Aquitaine, wants their son Richard instead. Eleanor is understandably salty, as Henry’s had her imprisoned for years because she supported another son’s efforts in trying to overthrow him. But he’s let her out for the holidays, so this whole messed up family will spend Christmas at Anjou trying to gain power for themselves. Katharine Hepburn steals the show as Queen Eleanor, throwing sarcastic barbs at her estranged husband and sons, but Peter O’Toole as King Henry holds his ground against her. We know how it happened: Richard became king, and then John. But it’s fun to watch it unfurl. You know Al Pacino yelling “Attica! Attica!”m but do you know the whole (based on a true) story? Sonny and his buddy Sal hold up a bank, but they find that there’s only $1,100 in the vault, because they got there after the daily pickup. A simple robbery turns into a media circus as the police descend, and the real reason for the robbery is revealed. As much as I like Dog Day Afternoon, I like One Flew Over the Cuckoo’s Nest a little more, and that film earned the second ever Grand Slam, which it richly deserved. Al Pacino was way overdue for an Oscar, though. Yeah, we’ve all seen Fargo, or at least we know about Steve Buscemi being put into the woodchipper. But I’m willing to bet that you know more about Fargo than you do about The English Patient, the movie that won instead. 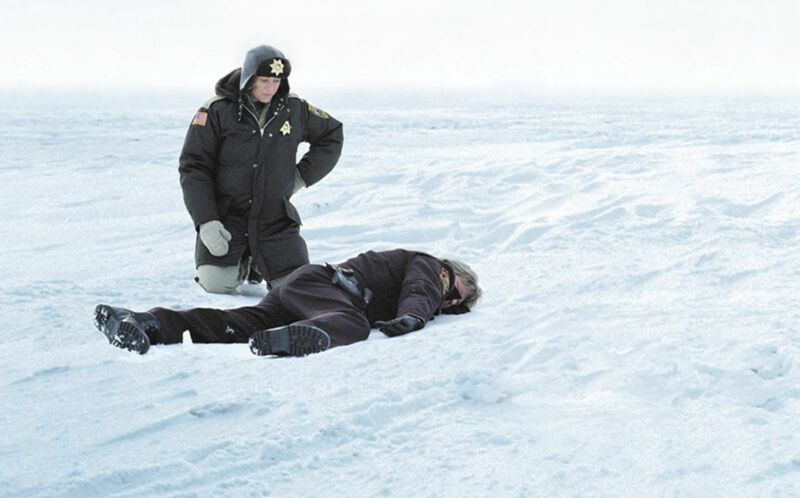 Fargo is still as funny and charming as it was in 1996. It’s one of the Coen Brothers’ best movies, up there with Raising Arizona, The Big Lebowski, and O Brother Where Art Thou, and it’s spawned an intricately styled television series of the same name. Fargo was where Frances McDormand won her first Oscar as Chief Marge Gunderson, who won’t stop her investigation even when she thinks she’s going to throw up. It’s always worth a rewatch. It stings a little when the thing you were rooting for doesn’t win. If you find yourself wondering what might have been, the morning after the Oscars, take heart in these five. They’re still winners. Jessica Lordi is an East Coast native who loves movies, murder ballads, graphic novels, used bookstores, and New York City. You can find her on Twitter @mermaidavenues, or in a haunted house. It's no coincidence that these directors keep getting their cast awards nods. The snub heard around the school. Things to carry over to next year for predictions. Cooper and Gaga brought the house down at the Oscars.